In 2019, South Bend Common Councilman Oliver Davis (D-6th) is seeking to become the 33rd Mayor of the City of South Bend, Indiana. Currently serving in his 12th year and third consecutive term, after first being elected in 2007, Councilman Oliver has worked hard to represent the people of South Bend. Serving the citizens of South Bend is one of Oliver’s greatest honors. Throughout his tenure on the Common Council, Councilman Oliver has continued to see the 6th District grow and revive as a strong economic region for the City of South Bend. With the rapid growth of businesses in the Ignition Park area, Lippert Components Inc. relocated in the former A.J. Wright building on Sample Street, and with the new Martin’s Super Market in the far west side of the 6th District, the Southwest side of the City of South Bend is gaining strength. Councilman Oliver was awarded the Transforming Action Through Power (TAP) 2010 Public Official of the Year in South Bend, IN. Councilman Oliver was very supportive and an advocate for the Pokagon Tribal Council’s development that will greatly re-energize the Southwest Side of the City of South Bend. “On behalf of the Pokagon Tribal Council, and all Pokagon citizens, we’d like to thank the BIA, Mayor Pete Buttigieg, former and active South Bend Common Council members, Councilman Oliver Davis, members of the Michiana Pokagon Alliance, and all of the local citizens and organizations that have supported us during this lengthy process,” said John P. Warren, Former Chairman of the Pokagon Band of Potawatomi Indians.” Councilman Oliver Davis’ 2015 Re-Election Campaign for the 6th District of South Bend was endorsed by the South Bend Regional (formerly St. Joseph County) Chamber of Commerce. Councilman Oliver is the past immediate South Bend Common Council President and Vice President, where he also serves at the Chairperson of the Zoning & Annexation Committee; Vice-Chairperson of the Utilities Committee and serves as a Member of the following Committees: Community Investment Committee Health & Public Safety Committee PARC Committee. He is also a Commissioner on the Area Plan Commission and a Member & Past President of the TRANSPO (South Bend Public Transportation Board of Directors) for the past 13 years. For five years, Councilman Oliver served on the Michiana Area Council of Governments (MACOG), which is a regional intergovernmental agency established to foster cooperative, coordinated and comprehensive planning activities. Oliver served on the YMCA Urban Youth Council Advisory Board. He is a regular member at the Rum Village Neighborhood Association meetings. Councilman Oliver is also an elected Precinct Captain for the St. Joseph County (Indiana) Democratic Party – Serving at Precinct 130607. Councilman Oliver is a member of the National Education Association (NEA), which is the nation’s largest professional employee organization and is committed to advancing the cause of public education. He is a member of the South Bend Elks Lodge #235 in South Bend, Indiana. Councilman Oliver is currently a Doctoral Candidate in the Doctor of Social Work (DSW) Program at the University of Southern California Suzanne Dworak-Peck School of Social Work in Los Angeles, California, where he is scheduled to graduate at the end of the Summer of 2019. In December of 2018, Councilman Oliver completed the Professional Certificate in Management from the University of Notre Dame Mendoza College of Business in Notre Dame, Indiana and the Professional Certificate in Political Social Work from the University of Michigan in Ann Arbor, Michigan. He earned the Master of Social Work (MSW) Degree from The Ohio State University in Columbus, Ohio in 1992, completed the Bachelor of Social Work (BSW) Degree from Oakwood University in Huntsville, Alabama in 1991, and graduated from the South Bend Regional Chamber of Commerce Leadership Program – Class 33, in 2007. He also pursued additional graduate work at Andrews University School of Education, Department of Educational Psychology in Berrien Springs, Michigan. During his undergraduate years, Councilman Oliver completed a summer undergraduate internship at the University of Maryland at College Park, within the Family Studies Department. Councilman Oliver is a member of the 2008 Michiana Forty under 40 class, which is a collaborative project involving the regional Chambers of Commerce, The Truth in Elkhart, the South Bend Tribune, Bethel College and several major employers intended to recognize and honor forty young professionals within this region for their contribution and accomplishments in both their workplace and community. Since 1996, he has been a Licensed Clinical Social Worker (LCSW) in the State of Indiana. He also is a member of the Academy of Certified Social Workers (ACSW) – Professional License – National Association of Social Workers. He was also a member of the Council of Social Work Education (CSWE) for seven years, in which for five years he chaired the Council on Social Work Education Annual Program Meeting Arts Festival Presentations, 2005-2009. 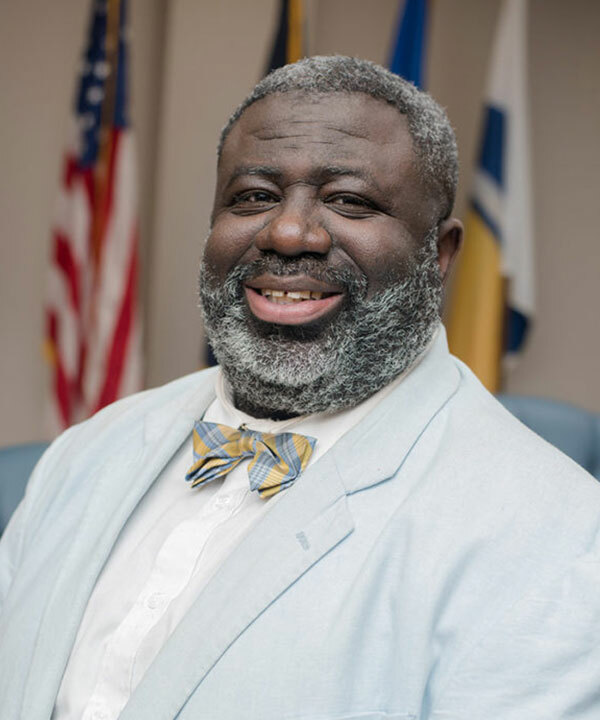 Councilman Oliver was elected to be the Area Representative – National Association of Social Workers (NASW), Indiana Chapter-Region 2 from 2000 to 2002. In 2017, Councilman Oliver was chosen to be the Social Worker of the Year by National Association of Social Workers (NASW) Region 2 – Indiana – (St. Joseph, Elkhart, Marshall, Kosciusko and Fulton Counties). Councilman Oliver is married to Lynda R. (Hodges) Davis. They have two lovely daughters – Starr D. Davis and Kailyn M. Davis and two awesome sons – Geoff Simons and Marc Simons. The Davises have a beautiful Chocolate Black Lab named Pepper S. Davis. Councilman Oliver loves to cook, to travel, to watch football, basketball and tennis and is a lover of history.